Protesters gather to rally against President-elect Donald Trump. Photo courtesy of Chris Dang, Minnesota Daily. 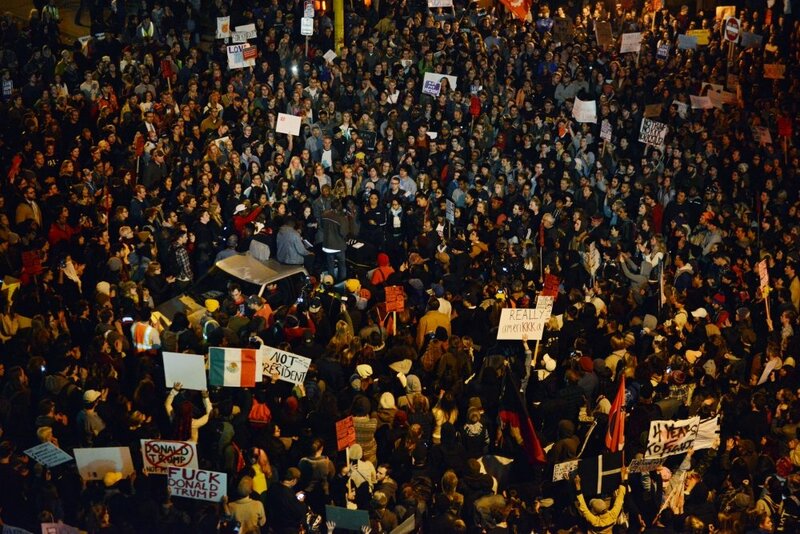 According to a report from David Clarey, Jessie Bekker and Ryan Faircloth of Minnesota Daily, more than thousand protestors rallied against President-elect Donald Trump in a peaceful protest that started outside of the University of Minnesota’s Humphrey School of Public Affairs. The event was co-hosted by at least 18 student and community advocacy organizations, including Black Lives Matter-St. Paul and Socialist Alternative MN. Read more about the protest over at Minnesota Daily. Krisoffer Tigue at MinnPost’s Community Sketchbook met new NAACP president Jason Sole for a Q&A about his future work and goals at the organization. Sole also touches on his own career, from being a criminal to becoming a professor at Hamline University. Read the full Q&A over at MinnPost. 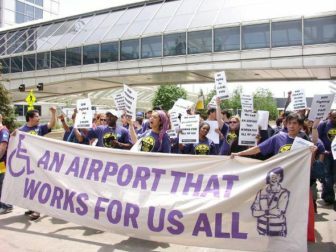 Barb Kucera of Workday Minnesota reports that hundreds of workers at Minneapolis-St. Paul International Airport won recognition of their union after years of organizing and rallying. MSP workers win union after years of organizing. Photo courtesy of SEIU. As the majority of the workers are East African, the victory is significant for eliminating Minnesota’s racial economic inequalities. Read more over at Workday Minnesota.